(VIDEOS) TMS King Philippe and Queen Mathilde of Belgium Visit The Netherlands. On Monday, November 28, 2016, Their Majesties King Philippe and Queen Mathilde of Belgium began their three-day state visit to The Netherlands at the invitation of His Majesty King Willem-Alexander of the Netherlands. The day began with Their Majesties King Philippe and Queen Mathilde of Belgium along with Their Majesties King Willem-Alexander and Queen Maxima of the Netherlands participating in a wreath laying ceremony at the National Monument at the Koninklijk Paleis op Dam in Amsterdam. Thereafter, His Majesty King Philippe and King Willem-Alexander inspected the royal guard. 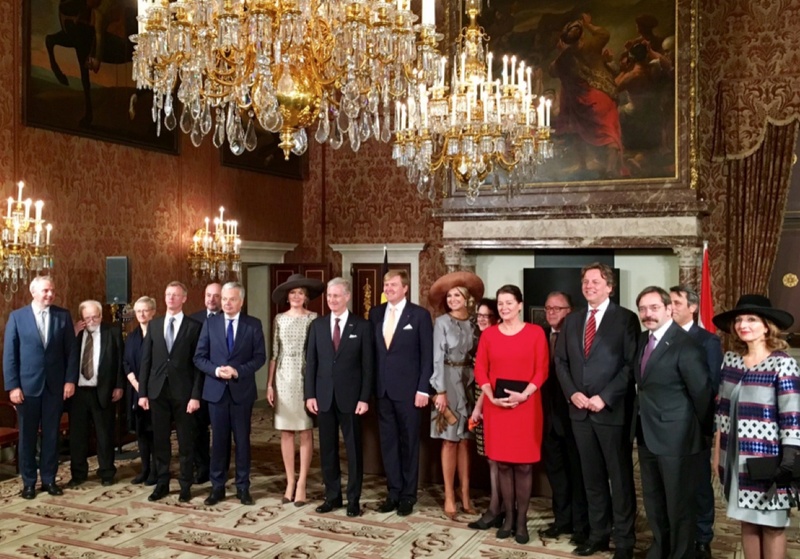 Following the ceremony, Their Majesties hosted a reception at the Koninklijk Paleis in honor Their Majesties King Philippe and Queen Mathilde’s visit. Guests included dozens of Dutch as well as Belgian government officials. During the reception King Philippe and King Willem-Alexander signed a “… border correction treaty between the Dutch municipalities of Eijsden-Margraten, Maastricht and the Belgian town of Visé…” according to RVD. 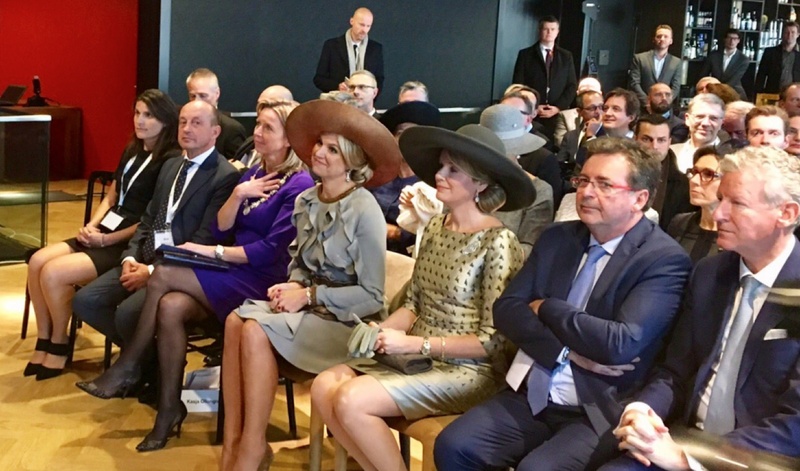 Later in the day, King Philippe and King Willem-Alexander participated in the Belgian-Dutch Innovative Entrepreneurs & Finance conference while Queen Mathilde and Queen Maxima attended a symposium on urban development and bilateral cooperation. Tonight, Their Majesties King Willem-Alexander and Queen Maxima will host a gala state banquet at the Koninklijk Paleis. Previous (VIDEO) His Royal Highness The Prince of Wales Attends the Consecration of England’s First Syriac Orthodox Cathedral. Next (VIDEOS) TMs King Felipe VI and Queen Letizia of Spain Visit Portugal.